INVESTMENT INSIGHT: Closely monitor the economy/markets – look to exploit overreaction on the downside, but with protection against future market pullbacks (E.g. via managers able to short / hedge exposures quickly). The aggressive fiscal policies we have seen and the possible stabilisation or even turnaround in some data points have given fuel to the bullish. Nevertheless, with markets rallying so far from their lows, strongly driven by sentiment and perhaps ahead of fundamentals with investors focused on good news only, the possibility of a pullback is even higher. The market is moving from pricing in stabilisation to looking for a sustainable recovery, which is very risky. Further support for the possibility of a pullback comes from the fact that the rally which took the market to its current level, from March to year end last year, was arguably a low-quality, high beta and short-covering rally driven by discretionary consumer names which should be the most negatively affected in a recessionary environment (see charts below). 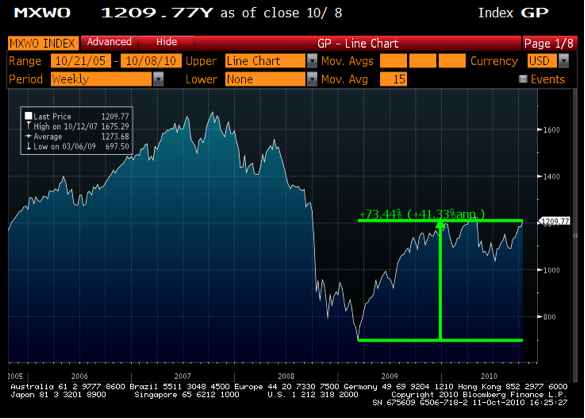 Notice that since this point, the World Equity Index is flat, but the sector disparity has continued to widen. Nevertheless, I am also aware that there is plenty of cash on the sidelines and many managers judged against a benchmark cannot afford to miss out on another rally. 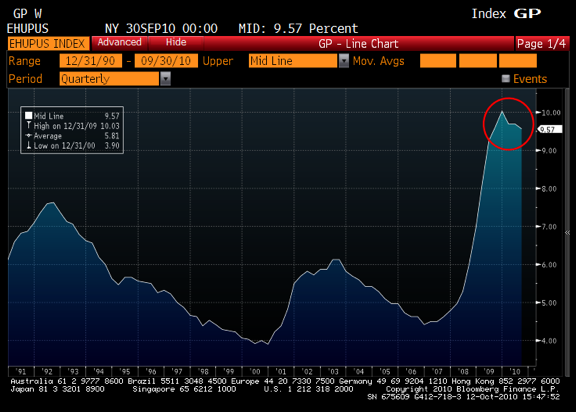 Bill Gross cites a move to a high persistent level of unemployment as support for his view. With lower income, higher savings, rising foreclosures and a credit restraining banking system, there still remains a strong case for the Bears to cling to. Across the “Pond”, the fragility of the UK market was highlighted when the BoE unexpectedly announcing massive expansion of quantitative easing program back in May of last year. Many are now focusing on the possibility of a “double dip”, questioning how governments will be able to exit from their fiscal stimulus programs without dragging a muted recovery back into recession. This is before we discuss Europe which is widely believed to make a slower exit from the crisis. President Obama himself was given a stern warning from investment guru Warren Buffett about the severity of the situation. “He said, ‘We went through a wrenching recession. And so we have not fully recovered. We’re about 40, 50 percent back. But we’ve still got a long way to go’,” (Obama, July 2010). The situation remains unclear. At present there is enough data out there for Bulls to find reasons to be bullish as well as enough for Bears to find support for being bearish. INVESTMENT INSIGHT: Until clarity returns, continue to closely monitor the situation to look for good entry points to exploit overreacting on the downside, but with the ability to protect from future market pullbacks (E.g. via managers able to short / hedge exposures quickly). As discussed, the outlook for the demand for debt is not looking rosy. Consumers, companies and governments are all focused on reducing the amount of borrowing on their “books”. 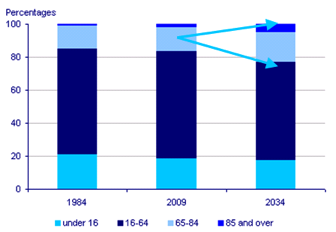 (See \”Isn\’t the consumer dead?..\”). On the other side of the equation, the supply of debt is also limited. Despite record stimulus packages, the amount of money that has reached the end user has remained muted. 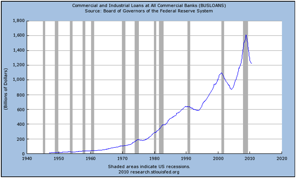 In the US, commercial and industrial loans have fallen at an unprecedented rate. And in the UK, earlier this year, less banks stated they plan to increase supply of credit in June than March (BoE). Between Apr ‘11 and Jan ‘12 lenders are due to repay £185bn raised under BoE special liquidity scheme. Furthermore, any banks that are able and willing to lend are being deterred with the threat of stricter global capital requirements looms as well as a tightening of credit scoring criteria. 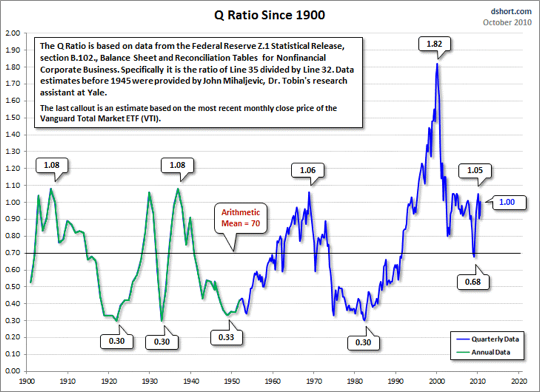 The search for yield is becoming an ever tougher quest for investors, especially the more cautious amongst us. 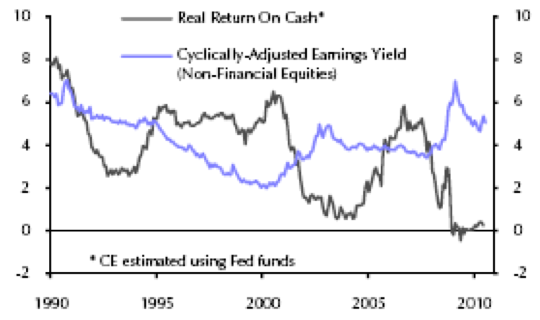 Arguably, the easy money has already been made within the fixed income space; cash offers little as an investment vehicle and many question what the growth drivers will be behind many developed market economies and stock markets. Thus we are left asking, where should one invest? We also need to question the type of environment we are investing in. Government action will be highly influential as it exits from its policy of Monetary Easing. Timing will be crucial but almost impossible to get right. Too early and we risk dipping back into recession and experiencing the destructive forces of deflation; too late and the threat of rampant inflation rears its head. The consensus is that the government will favour the latter option as the lesser of two evils. Either way, any recovery the world sees may be a volatile one and clarity may remain elusive. Concerns over debt are still acute and here in the UK the Government predicts expenditure, revenues and debt are to get worse before getting better. Thus I highlight the importance of an active management approach to investing, where the manager has the ability to react quickly to the changing environment and provide protection on the downside. Focus is also on being selective within each asset class. Although no longer a broad-based trade, opportunities remain within fixed income, with quality paramount and the focus on being name specific. 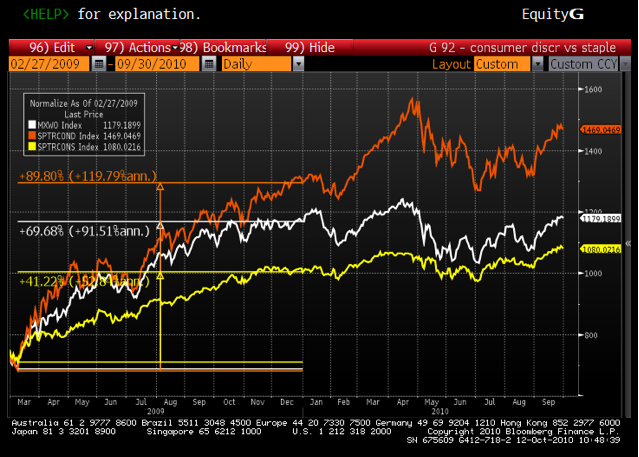 Equities are looking more interesting. Nevertheless, with the potential for corrections in the markets in the near-term, investing with long / short managers, who have a proven track record of navigating the choppy markets of the last few years successfully and who are well-positioned to exploit opportunities both on the upside and downside, is attractive. Emphasis is on being pro-active rather than reactive and continuing to monitor the changing economic and market environments closely.